Athletic or not, most of us have experienced the misfortune of a jammed finger injury – which is actually a finger sprain. Casually walking past a dining room chair, opening a car door or even gardening can be the everyday activity that puts your finger at risk. Jammed fingers are a frequent injury for many sports – but especially for basketball when the ball hits the tip of the finger and pushes it back toward the hand. It’s not often serious but pain and swelling can affect one or more of the joints and cause discomfort. 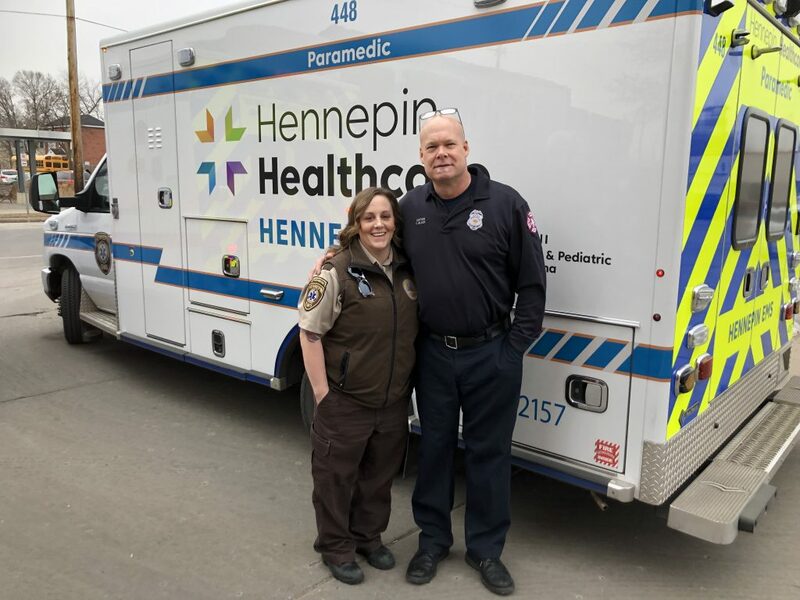 Alicia Bravo is an emergency medicine nurse here at Hennepin Healthcare. Healthy and athletic, Alicia was training for a triathlon swimming across a lake, her dad and sister boating alongside. The Clinic & Specialty Center was recently awarded LEED certification at the Gold level! LEED stands for Leadership in Energy and Environmental Design. The LEED rating system was developed by the U.S. Green Building Council and is the foremost program for buildings, homes, and communities that are designed, constructed, maintained, and operated for improved environmental and human health performance. The Clinic & Specialty Center is the second building by Hennepin Healthcare to achieve LEED certification. Whittier Clinic, one of our neighborhood clinics, also achieved LEED certification and was the first healthcare facility in Minneapolis to be awarded certification under LEED for New Construction at any level. LEED certification is difficult for healthcare facilities to achieve because of their specific design needs. The Gold certification means that 60-79 points were earned on the certification checklist. It is the second highest certification level in the LEED program.